Em's Knitty Corner: YARN SALE! As said I would be selling some of the yarn I won't be using any time soon. It's partly stash reducing of course. 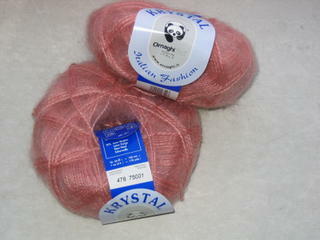 As promissed, half of the proceeds of this yarn will go to a Katarina Relief fund (not yet sure which). 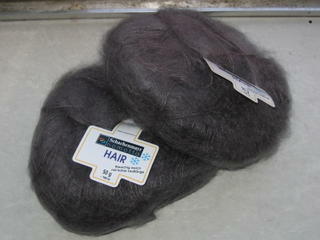 The other half will be used to buy wool to knit a warm cardigan for my sweet grandfather. So please help me out here! Following items do not include shipping! Remember that I live in Belgium (Europe). Mail me for shipping, it depends on the yarn. Plus, you can choose between priority (3 days to one week) or non-priority (3 weeks), (and those are for international shipping, inside Europe goes faster). Retailes at about 7$, will sell for 5$. This one I have a hard time parting with! You won't find this in a store! 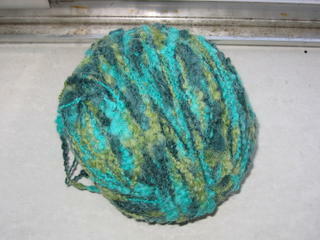 Though it's kinda special, it's 100% yarn for sure, handdyed and from a cone. It's originally made for French couturiers and so there is no label with it. I can assure you the quality! 100 grams of this retails for about 50$! I will sell for 30$ per 100 gram. I don't know how much this ball is, I guess it's somewhere between 100 and 200 gram. Just tell me if you want the whole ball or just 100 grams. It will look great for a scarf! The colours are kinda blue and green, really nice, the colours for the coming fall and winter in Paris! As said, 100% pure wool so handwash only! Most colours are quite accurate in the pictures! I can only accept Paypal I'm afraid! If interested, email me at rrej37 at hotmail dot com! awwww too bad i have no money, i'd buy that last ball from you in a heart beat!! is that $10 for all of that wool?